If you are facing a complex, life-changing legal problem, you need individualized representation from a skilled attorney. 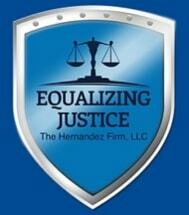 You need a lawyer at your side who is committed to the highest standards of professional legal services. I am Christine C. Hernandez. At my Mobile law office, I take a hands-on approach to all of my cases. From probate to juvenile criminal defense, dependency and delinquency, no legal matter is passed off to a junior associate or paralegal. I will remain involved throughout the entire process. From the moment you retain The Hernandez Firm, LLC, I focus on your best interests and help you make smart choices while knowing the risks and rewards. I understand both the reality and gravity of your legal problem, regardless of its complexity. I recognize the unique problems you are facing, and will take the time necessary to identify what is most important to you. In a time where you feel powerless, information can empower you. Educating you on your rights and options allows you to take a certain amount of control. With me at your side, we will face a complex legal system and find an efficient and effective resolution.